Well…I Told You – One-Size-Fits-All. 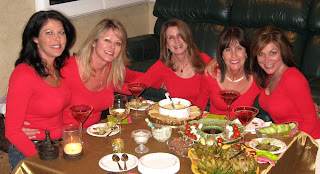 Here I am with my girlfriends for a little night “in” and we are all different. One girlfriend was away…. 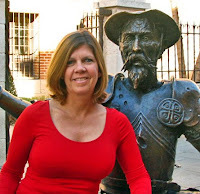 (can you believe she was flirting with Don Quixote in Spain? )…How dare she….anyway, I think she stole the show with her Niki Biki Long Sleeve. Don’t be surprised if you see our Niki Biki Camisoles outside of the US….we ship internationally too! Do you have a story to share with us about your Niki Bikis? Please write us. We’d love to hear from you. Simply click here to learn how!